Chelsea loanee blasts "All I ask for is honesty, and I didn’t get that". 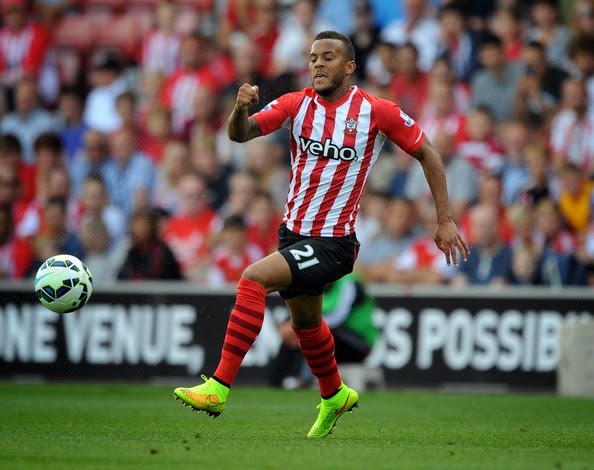 Ryan Bertrand, fresh from scoring for Premier League high fliers Southampton yesterday, has taken a swipe at Chelsea in a recent interview and many believe he is looking to make his loan move permanent. In his time at Chelsea, Bertrand had been loaned out NINE times and all indications at the club were that he was being given more and more chance of first team football on a regular basis. Featuring heavily two seasons ago, Bertrand had made over twenty appearances including a start in the Champions League Final in Munich. However, as we have seen, Bertrand has hardly had a look in over the past two seasons and was loaned to Aston Villa for the second half of last season, then eventually loaned to Southampton for this coming season as he wanted to play regular first team football. “The situation became clear to me before I went on loan to Aston Villa (last season). I was getting those 15, 20, 25, 30-plus games a season, until I hit a stumbling block. That’s when the alarm bells rang. Before that, I had a chance to move from the club, but I was advised that I didn’t need to do that. It all unravelled in front of my eyes, and certain things didn’t make sense in terms of what certain people had said to me. All I ask for is honesty, and I didn’t get that. You can't blame him for wanting to play on a regular basis, having served his time learning the game and being loaned out at various levels by the club. The problem is now the levels of expectation at Chelsea and everywhere for that matter. You have to remember that the season we won the Champions League, we finished SIXTH in the Premier League and it was not good enough. The pressure was well and truly on to deliver a top four place as it is with every season and to do that, Chelsea needed their best players fit and playing on a regular basis. I think you will agree with me that Bertrand does not fall into that category and found himself out of favour. I personally believe that Bertrand is still some way off becoming as good as we all thought he would turn out. Whether that because his progress has been halted (as he states) is up for debate. Unfortunately, the club is bigger than any individual whether that's players or non playing staff. The club needed the financial reward for finishing in the top four and some players never got a look in. Good luck to Bertrand for the remainder of the season. As for beyond? I think he could get his wish and remain at Southampton on a permanent deal for years to come. What do you think of what he has said and the situation the club found themselves in as I have stated? Do you agree with me?